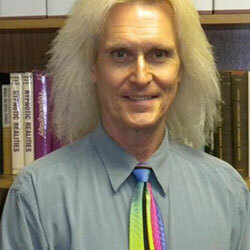 Brent B. Geary, Ph.D. is a psychologist in private practice in Phoenix, Arizona. Since 1988, he has also been the Director of Training for the Milton H. Erickson Foundation. Dr. Geary has presented internationally on Ericksonian topics since 1991 and throughout most of the United States. He is coeditor of two books with Jeffrey K. Zeig, Ph,D., The Handbook of Ericksonian Psychotherapy and The Letters of Milton H. Erickson.